Unforgettable Learning! International Horse Certification Course with Business Training. A Global Equine Assisted company. Working together to find success around the world helping people to be empowered through the power of the horse. 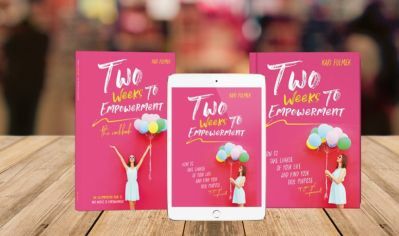 Unforgettable Learning for Women Just Like YOU! 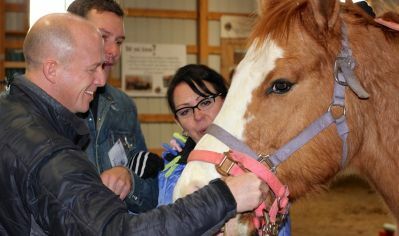 By interacting with our horses, our clients will learn how to take empowered action, try new behaviours and connect with their passionate selves. There is no BS - only clear answers. Unforgettable Learning Outside the Boardroom! Sure, paintball is a good time and all, but where is the application? How is your corporate event benefiting your organization LONG TERM from the typical team building day? 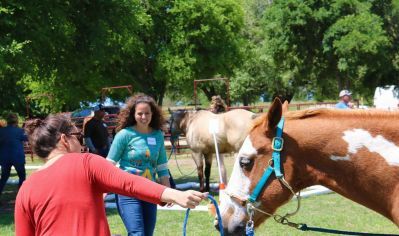 Educational and experiential skills programs that are facilitated within a group format and focuses on ground activities that are objectively driven rather than horseback riding. The horse has unique characteristics which contribute to a distinct human-animal interaction plus they are a prey animal, this is one of the many benefits with them as the teacher, motivator, strength and calmness. 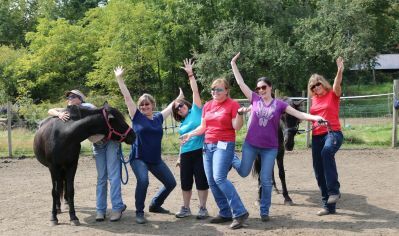 Whether it’s a team building event, women’s workshop, helping youth to build life skills or your next career with a horse - it is truly unforgettable learning. They are just like us - sort of. Horses have a lot to teach us, but they are also a lot like us. Herds to horses are just like teams to people. Horses require a leader that they trust and respect, just like we would love to have in the workplace. These parallels give us the ability to parallel everything that happens to real life so that what you learn sticks! Quite simply, the horse does the teaching; facilitators are there to offer an explanation and provide guidance as they work through the solution. Working with horses creates memories that we can apply to our lives and retain far longer than sitting in ‘just another classroom'. 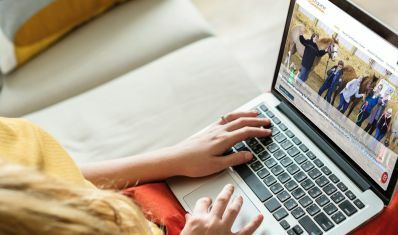 Equine Connection is a top-notch service provider. Their program provided a unique combination of leadership and experiential education. The changes that were reported by teachers of students who attended the program were amazing, and the program definitely helped with student confidence, leadership and bullying awareness. The program works for everyone and is highly recommended for all. It was particularly powerful for the First Nation/Aboriginal students as it provided meaningful connections. In my capacity in auditing the risk management and safety of the program, I found a program that put participant safety first and achieved a very positive one-sided Benefit to risk ratio. Equine Connection did everything reasonable to mitigate and manage foreseeable risks.